I got this cab because I love this cigar, I will be aging these for a few years although they can be smoked and enjoyed right away after a few weeks in the humi! Delicious! Picked up 2-sticks from CT sampler pack. Outstanding smoke and highly recommended. I have a love hate relationship with this cigar. I was completely amazed by this cigar. I purchased it initially as an upgrade from my NC and some cheapo Sumatra cigar. It just tasted so differently and thanks to it I began my cigar journey. and my hate journey began as I have become very very broke until, until I discover CT. 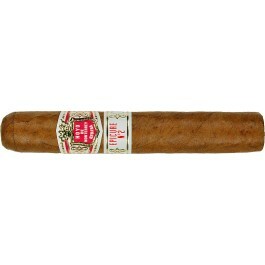 This is a very balanced medium bodied beautiful cigar. The main characteristics in flavor are honey and almonds. This cigar changes every inch with each time getting more flavorful.Highly recommended.